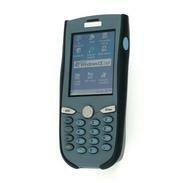 The PA962 incorporates a built-in scanner for industry standard bar codes, a 19 key keypad, and a touch screen. Data Collection is simple, fast and accurate. Expansion slots for WLAN or WWAN makes real world data transaction possible where you really need it - in the field. Working environments are not always perfectly lit, so the PA962 features an LCD and keypad backlight that makes anytime, anywhere operation possible. Control the keypad backlight on/off and LCD backlight contrast for power saving via a simple hot key. The rugged PA962 can withstand 1.2 meter (4 foot) bounces off a concrete floor and is sealed to IP54 standards against water and dust. The rugged housing protects the terminal against the harsh working environment often encountered by mobile users. The double-cell battery pack provides long hours of mobile operation, uncompromised productivity, and minimal down time. The PA962 comes equipped with both a PCMCIA Type II slot and a CF Type I/Type II slot for WWAN, WWLAN, memory, and many other uses. The PA962's expansion slots easily accommodate future Enterprise technology requirements. Despite IP54 sealing and the double-cell battery, the PA962's ergonomic design still easily fits the user's hand. Users increase productivity right from the start with minimum training thanks to the PA962's vivid 240 by 320 color display, touch screen, and the familiar Windows operating system.